At Sandy Meadows Farm we have spent years searching for just the right mares to breed to Undun Wind in order to achieve our reproductive goals of producing World Class All Around horses! 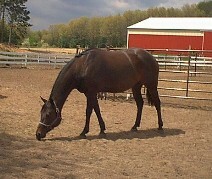 1995 Sorrel Mare by Ima Cool Kelo, AQHA Res. World Champion Superior Halter Horse with 129.5 AQHA Halter Pts. by Ima Cool Skip, AQHA World Champion Superior Halter Stallion. Out of Such a Silent Lady who had 29 AQHA Halter and 19 Performance pts. by silent Majority who had 72 AQHA Halter pts and 29 Performance points. Doesnt get much better breeding than this. This is a stunning looking mare with AQHA halter pts of her own with extremely limited showing, who has produced Halter and Performance winners already. She had a gorgeous Big Bay filly by Undun Wind. She is bred to Undun Wind for 2012. She is the dam of Unduns Cool Kelo (IBHA Supreme Champion) and Unduns Cool Wind, also a champion. This foal is a full sibling to those horses and she can produce more champions for you too! $3000 bred to Undun Wind for 2012. 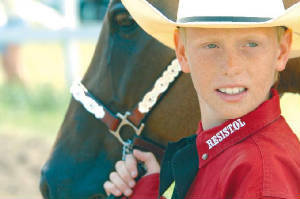 Kay Cee is an own daughter of Kay Cee Leaguer who can be seen on the back cover of the QH Journal each month. Her dam was an own daughter of the immortal Zippo Pine Bar. Pleasure doesn't get much better than this! She is the dam of My Zippers Undun, WFQHA Res. World Champion Yearling Stallion, Futurity money winner, & Kay Cees Undun Storm. She is also the dam of dun mare, who is World Champion 3 year old IBHA Halter mare who is an IBHA Champion who unofficially just earned her Supreme Championship over Labor Day, 2011. Her last foal is a grulla colt who is at Sandy Meadows Farm and is a stallion! Had his first foal this past year; a grulla filly. $3500 bred to Undun Wind for 2012. This super mare is a multiple AQHA Halter and Western Pleasure Futurity winner, then she went on to be WQHA High Pt. Reining horse in 1994. 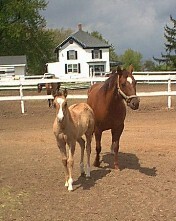 She has several foals who are going on to be super All Around horses just like she is. 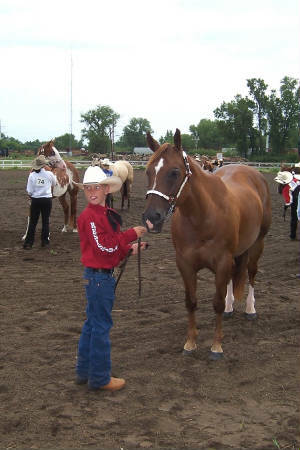 She has a filly who has AQHA Reining pts., Hey Ho Orrlena; another filly, Undun In Lace who is a World Champion in WFQHA (Lacy is World Champion Produce of Dam) and also has AQHA Reining pts; and yet another mare who has shown HUS & WP All Around in IBHA very successfully, Unduns Miss Brett; and a 3 year old gelding who is already a 2x World Champion in WFQHA, Unduns April Fooler; Undun in Lace, a red dun reining mare who has AQHA reining pts. as well as Halter pts! 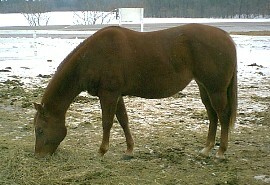 1996 Dark Red Dun Breeding Stock Paint mare who is an IBHA Res. World Champion with ROM’s in Open and Amateur Halter. As you can probably figure from her name, she is heavily bred Skipper W and Weiscamp breeding. This mare is a super mare who has an incredibly friendly laid back disposition, easy breeder and already proving herself in the breeding pen. One of her foals is being shown by an Amateur and is doing very well. Had gorgeous red dun colt with tons of chrome in 2010. Jack is for sale so you can buy him for $2500 or get the factory and breed for your own!. Sells bred to Undun Wind for 2012 foal for $3000.